KYLEMORE DESIGNS AND BUILDS HOMES THAT FAMILIES ARE PROUD TO CALL THEIR OWN. Since 1997, Kylemore Communities/Angus Glen Development has established a reputation for being an industry innovator and builder of superior quality homes and communities. Today, Vice-President Frank Spaziani working alongside the third generation of the Stollery family represented by Cailey Stollery and Lindsay Stollery Jephcott, are planning a significant number of new communities that will come to fruition in the next decade. Kylemore is headquartered in Markham where it has built more than 1,000 homes in Angus Glen Community. Residences range from boutique condominium suites to elegant townhomes, executive detached homes to inspired custom homes. 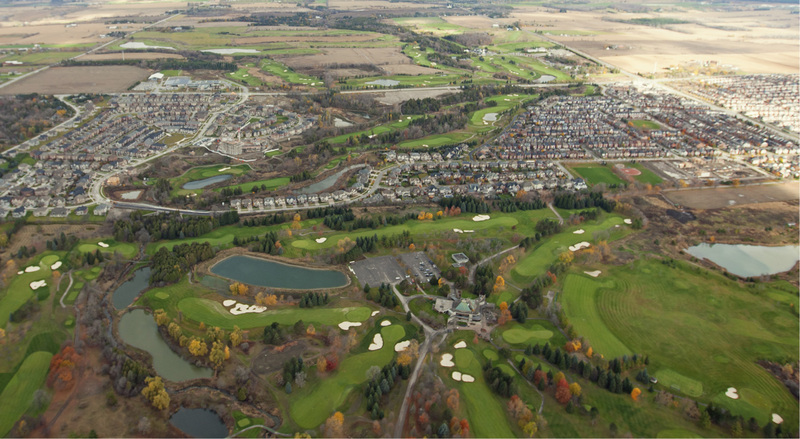 The award-winning community surrounds Angus Glen Golf Club, one of Canada’s premier golf courses and host venue for Toronto 2015 Pan Am Games. Kylemore is completing The Shoppes of Angus Glen, which offers residents shops and services within walking distance of their home. In February 2015, Kylemore’s corporate head office moved to this location. Kylemore’s commitment to create neighbourhoods for all ages and life stages is a strategy of community building that has proven very desirable. In 2013, the Building Industry and Land Development (BILD) Association awarded Angus Glen Community the prestigious “Places to Grow Community of the Year – Low-Rise”. The award recognizes the community that is the best example of smart growth, environmental preservation, innovative site planning, recreational amenities, streetscapes and architecture.